Welcome back to our blog! We hope you enjoyed our last post about how brick may be the wrong material for your home. We want our clients to always have the best knowledge when it comes to siding their home. 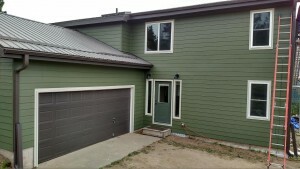 At DJK Construction, INC., we are you premier siding company with the best siding contractors in Colorado Springs. We want your Colorado home to be durable, sturdy, and hold up to our state’s very unpredictable weather. Now that winter is on it’s way out, there is a new type of hazardous weather to prepare for: Hail. Hail is something pretty common in Colorado and causes quite a bit of damage when it rolls into town. Hail is damaging because it’s hard ice-like structure is sometimes large and falls at accelerated speed.. Unfortunately, if you know it’s going to hail, and it’s going to hail quite a bit, there is really no time to prepare. Hail can damage everything from your car, gutters, air conditioners, vents, and, of course, your siding. In this post, we are going to discuss what type of damage may occur from hail damage and how you may be more at risk with your siding. If you have vinyl siding, you are part of the majority in the Colorado Springs area. Many love their vinyl siding for its easy installation, upkeep, and that it comes in a variety of colors. This type of siding is always quite durable and can stand match to even the nastiest storms. However, vinyl is not invincible. Vinyl siding is a lightweight siding material for your home that can also take the abuse from strong Colorado winds and that bright sunshine. When hail rolls into the area, if it is large and dense, it can actually cause quite a bit of damage. Cracks: The siding panels can potentially crack in arched patterns. The cracks are most likely to appear where sections of siding are unsupported. These cracks tend to occur right between the ridge and the valley of the siding on your home. Chips: Chips can also occur due to the force of the hail. The chips will appear at the bottom of the siding and will be best viewed from looking up from the bottom of the panel. While these are the two main types of hail damage, it is good to be aware of what to look for after a hailstorm, to see if you need siding replacement from our siding contractors. While vinyl siding is more durable and sturdy than most, it still may incur damage from a nasty hail storm. Honestly, the damage occurs for a number of reasons, that may be in your control. 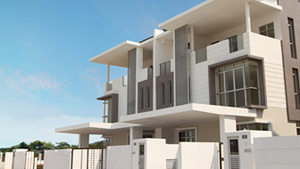 Keeping up with your siding maintenance, and having your homes replaced when necessary by our siding contractors is a good preventive measure. Why May You Get Damage? 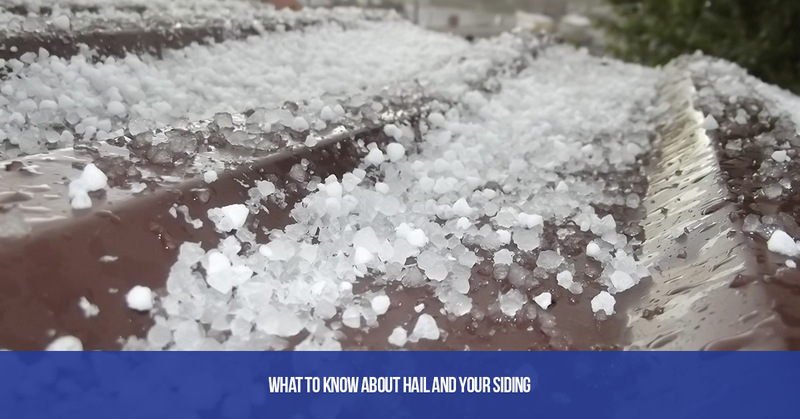 While hail is unpredictable because it can vary in size, density, and speed, your home may be more susceptible than you realize. How Strong is your siding? Sometimes, the quality of your siding can help protect your home from hail damage. If the siding is a higher quality and is made with thicker panels, you may be less prone to hail damage. Check your sidings range of thickness, it can be anywhere from 0.35mm up to 0.55mm. If you have had your siding on your home longer than you can remember, you are very likely to have hail damage occur. Siding, over time, will become brittle and more delicate than before. Because the siding is more fragile than before, even small hail stones can cause noticeable damage to your siding. Prevent this by replacing your siding with the best siding contractors in Colorado Springs. How is the Condition of Your Siding? Even if you previously invested in some sturdy, durable, and high-quality siding, overtime, this siding can still start to deteriorate. One of the biggest culprits for siding health is UV rays from the sun. And, living in Colorado, we get quite a bit of sunshine. The siding panels that face in a southern direction tend to receive the most damage and exposure to the sun. It is important to know to replace these panels if you think they are damaged beyond repair. When hail damage occurs to the outside of the home, if untreated, it can make its way to the inside of the home. Because the vinyl siding becomes cracked or even chipped, it can cause parts of the home to be exposed to higher amounts of moisture, which can produce mold and mildew. If chips are present, it can allow nasty critters to come into the home. Finally, the damage creates an exterior to home that you don’t enjoy looking at anymore. When it comes to your Colorado Springs home and hail, don’t let it get the best of you. Since we know hail season is almost upon us, it is the best time to schedule a siding inspection and installation if necessary. At DJK Construction INC., we want to always ensure that your home is prepared for all the elements that this great state has to offer. Checking your siding to make sure it is strong and ready for the upcoming summer season is the best practice to make sure you don’t end up in the above scenarios. Don’t incur heavy repair costs after the fact, always take preventive measures when possible. 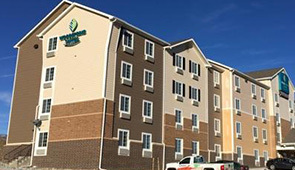 If you believe you home is due for new siding, call the experts in Colorado Springs. Our team is knowledgeable, professional, and diligent at getting your siding installed in a timely manner. We offer some of the best siding products and materials on the market and we’ll always help you make an informed and educated decision about the exterior of your home. Call your siding experts about any questions or concerns about your Colorado Springs home. Keep checking back at our blog for even more information on all things siding!